West Virginia Federal Criminal Defense Lawyers - Oberheiden, P.C. Oberheiden, P.C.’s federal defense attorneys have a substantial record of success in federal criminal litigation, and our West Virginia federal criminal defense lawyers are available to represent clients in both West Virginia federal courts. Don’t delay if you have received a target letter, or have been arrested by federal authorities. The possibility of a trial could be looming, and you need to prepare yourself. Unlike in state cases, in the federal criminal justice system, there is no possibility for parole. A federal criminal trial is a very serious matter and essentially all federal crimes carry severe penalties. Many crimes, such as drug trafficking, fraud, and sexual abuse carry potential life sentences, and many other crimes carry the potential for years, if not decades, of incarceration. There is no choice but to prepare to defend your freedom and hiring a competent attorney who understands the process is critical. Our attorneys do not wait idly by or rely on a judge or jury to render a positive verdict for our clients, they work hard on your behalf. Our attorneys explore all possible avenues to restore your freedom and your way of life by defending you against federal inquests. At times, negotiating a plea deal can be an effective tool, but our lawyers have convinced federal prosecutors to drop charges entirely, even after the issuance of a federal indictment. A relationship of trust and confidence begins at the moment you initiate legal representation by our firm. In our representation of individuals and organizations in federal criminal litigation, we work very closely with our clients to tailor a defense strategy that works. Our West Virginia federal criminal defense lawyers make sure our clients have all of the necessary information and tools to make informed and strategic decisions. There are several stages before an indictment such as the investigation, search warrants, administrative subpoenas, pre-charge resolution, and intervention, but our highly skilled West Virginia federal criminal defense lawyers will begin their discussion at this point in the legal process. The government utilizes indictments as a formal means to issue charges in federal criminal cases. An indictment signals that the U.S. Attorney’s Office has already presented evidence to a grand jury and that this grand jury has found “probable cause,” to exist, implicating you in a federal crime (or multiple federal crimes). What caused the government to investigate? What sort of information was provided to federal authorities? How (which method) did the government request this information? Your defense team can only begin to put together an effective pre-trial strategy once this information has been collected, which can and should happen fairly quickly. Many people assume wrongly that just because they have been arrested or indicted, they are heading to court. A favorable resolution can still be secured during the lengthy pre-trial process and an effective defense team will utilize this opportunity on your behalf. Your West Virginia federal criminal defense lawyers may be able to resolve your case even before it goes to trial. Some strategies your lawyers can employ are: poking holes in the U.S. Attorney Office’s case, raising various legal and factual arguments, and challenging the government’s investigative procedures. A large portion of the pre-trial stage in federal criminal litigation involves negotiations with the Assistant United States Attorneys (AUSAs) assigned to your particular case. Understanding how to communicate with these parties is essential because it could yield to negotiations revolving around a pre-trial release, reduced charges, or reduced sentencing (or dropping charges entirely). In concert with negotiation tactics with the U.S. Attorney’s Office, your West Virginia federal criminal defense lawyers will need to engage in a multitude of actions such as filing motions, responding to motions, attending pre-trial hearings, and partaking in a multitude of other formal legal procedures. This type of work can be essential because it often results in charges being dropped or evidence being excluded from trial entirely. It can also provide crucial leverage needed to break through in plea deal negotiations. If your court date is approaching and your case is still pending – your defense team will need to prepare to vehemently represent you at trial. This involves several steps such as cross-examining the government’s witnesses, presenting various legal defenses to the judge or jury, and questioning the government’s evidence, before waiting for a verdict to be rendered. If your case does indeed go to trial – the possibility of reaching a plea deal, or discovering evidence that warrants termination of the proceedings prior to the verdict, still exists. Even if you are found guilty, your team will still have the opportunity to protect you at sentencing, as well as reserving the right to challenge the outcome of the trial on appeal grounds. 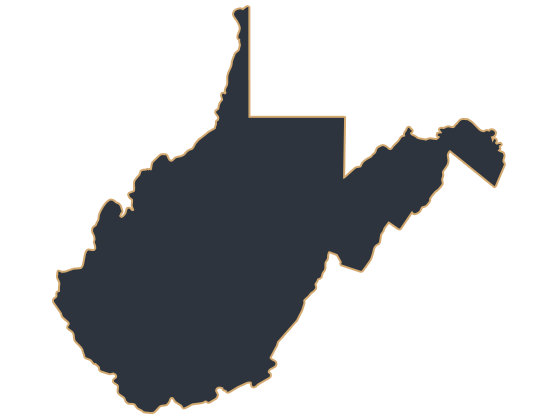 West Virginia is divided into different federal districts. The Mountain State is part of the United States Court of Appeals for the Fourth Circuit (in case citations, 4th Cir.). In the United States District Court for the District of West Virginia, federal prosecutors are tasked to enforce federal law on behalf of the U.S. Department of Justice. West Virginia is divided into two federal districts, the Northern District, and the Southern District. These districts locate federal courthouses as well as branches of the Department of Justice, so-called U.S. Attorney’s Offices. The U.S. Attorney’s Offices employ federal prosecutors, also referred to as Assistant United States Attorneys (AUSA). The United States District Court for the Northern District of West Virgnia (N.D. W. Va.) covers the counties of Braxton, Calhoun, Doddridge, Gilmer, Harrison, Marion, Monongalia, Pleasants, Preston, Ritchie, Taylor, Barbour, Grant, Hardy, Lewis, Pendleton, Pocahontas, Randolph, Tucker, Upshur, Webster, Berkeley, Hampshire, Jefferson, Mineral, Morgan, Brooke, Hancock, Marshall, Ohio, Tyler, and Wetzel, and it hosts federal courthouses and U.S. Attorney’s Offices in Clarksburg (500 West Pike Street, Room 301, P.O. Box 2857, Clarksburg, WV 26302), Elkins (P.O. Box 1518, 300 Third Street, Elkins, WV 26241), Martinsburg (217 W. King Street, Room 102, Martinsburg, WV 25401), and Wheeling (1125 Chapline Street, P.O. Box 471, Wheeling, WV 26003). The United States District Court for the Southern District of West Virgnia (S.D. W. Va.) covers the counties of Greenbrier, Raleigh, Summers, Wyoming, Mercer, McDowell, Monroe, Boone, Clay, Fayette, Jackson, Kanawha, Lincoln, Logan, Mingo, Nicholas, Roane, Wirt, Wood, Cabell, Mason, Putnam, and Wayne, and it hosts federal courthouses and U.S. Attorney’s Offices in Bluefield (601 Federal Street, Room 1000, Bluefield, WV 24701), Charleston (300 Virginia Street, East, Suite 2400, Charleston, WV 25301), Huntington (845 Fifth Avenue, Room 101, Huntington, WV 25701), and Beckley (110 North Heber Street, Room 119, Beckley, WV 25801). Our law firm does not employ or utilize the services of unproven junior attorneys or paralegals. Throughout the entire duration of your case, our experienced senior West Virginia federal criminal defense lawyers will work closely with you to reach the best possible result. In federal litigation the stakes are too high to entrust with inexperienced counsel. Disputing the Government’s Evidence – Is the government even allowed to use their evidence in court under the law? Could it be inadmissible such as in “fruit of the poisonous tree,” or hearsay circumstances? The government has the task of proving your guilt beyond reasonable doubt and our task will be disputing the strength and admissibility of the government’s evidence. Asserting Constitutional Violations – Have you been arrested without probable cause or stopped without reasonable suspicion? Perhaps your Miranda rights were not read to you, or read to you too late. These are some of the questions our attorneys ask in order to discover Constitutional violations, which could have a big impact on the outcome of your criminal trial. Asserting Affirmative Defenses – Our attorneys could also utilize an affirmative defense which does not focus on disputing that certain acts were committed, but instead showcasing that these acts do not constitute a crime under the circumstances involved. This defense strategy can be used in addition to challenging the government’s evidence. Challenging the Sufficiency of the Government’s Case – Perhaps all of the government’s evidence is admissible and reliable, but is this still enough to prove beyond reasonable doubt that you are guilty of the crime or crimes alleged against you? The U.S. Attorney’s Office must prove multiple “elements,” as part of a federal crime in order to prove that you are guilty and obtain a conviction. Oberheiden, P.C. is a long-standing federal defense law firm with a national presence, providing proactive, skilled, and effective representation in high-stakes federal litigation. Our law firm is led by, the founding attorney, Dr. Nick Oberheiden, and is comprised of senior attorneys, some of whom served years with the U.S. Department of Justice (DOJ) or as prosecutors prior to entering private practice. Our law firm can help you facilitate an effective strategy to defend you from being convicted of a federal crime or crimes. Our law firm carries the experience necessary to understand the stakes and what it takes to defend you or your business. It starts with a free and confidential case assessment. If you do choose to retain our services, our attorneys can travel to your location in West Virginia on a moment’s notice. If you are facing federal charges, we urge you to contact our West Virginia federal criminal defense attorneys to speak with a member of our defense team right away. You can contact us 24/7. And if an attorney is not available immediately, we will schedule an appointment for you as soon as possible. Call our West Virginia federal criminal defense attorneys at (888) 519-4897, or tell us how to reach you online now.